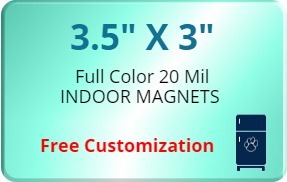 3.5x3 customized magnets 20 mil round corners makes a very unique promotional choice for advertisers working in different niche sectors. 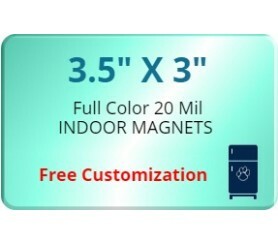 This refrigerator magnet can wrap information regarding any big or small business events with a special conviction. This means advertisers can best utilize it to lure large section of family based customers!